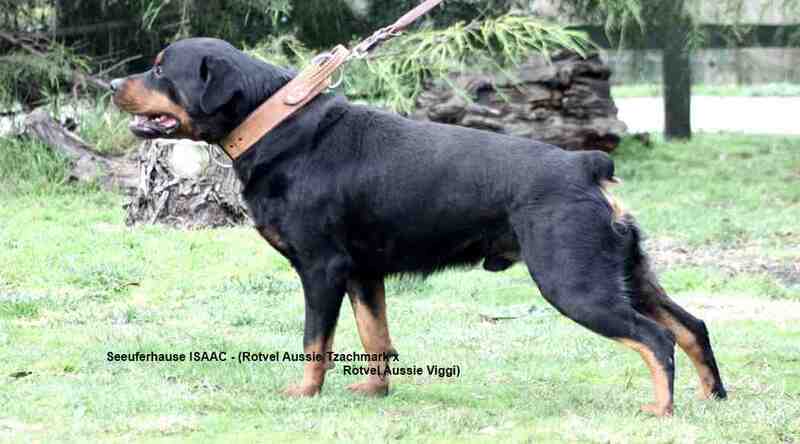 ***STOP PRESS*** Seeuferhause Isaac is owned by Daniel Ramadan at Von Koutz Rottweilers. 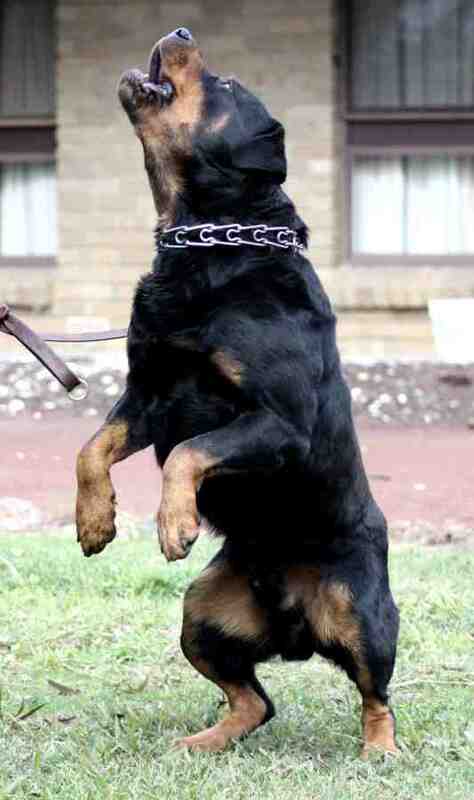 Bear has matured into a magnificent male rottweiler. He is the only son of my old boy Tzachmark and is a true representative of the “old” lines. 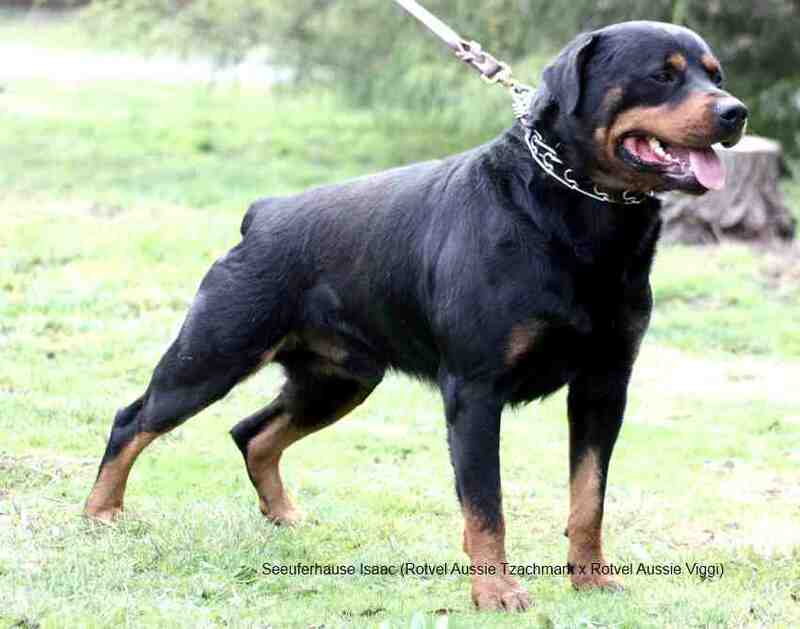 Bear has an awesome temperament, with a definite “on/off” switch. 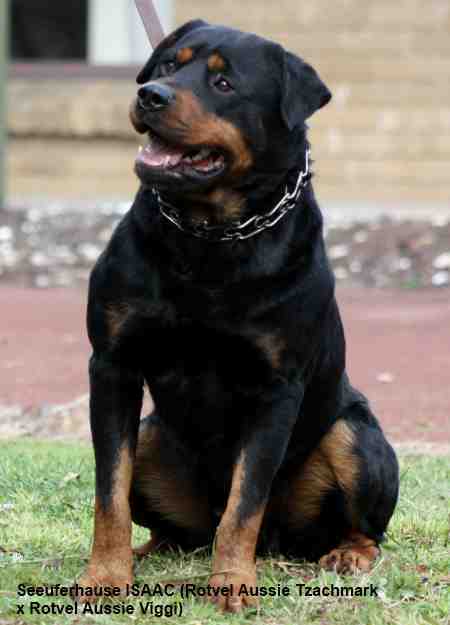 He is calm and stable around the family and friends and an absolute beast on the field. 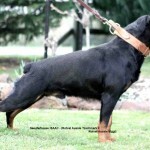 He is intense, has great prey drive and the hardness that we all used to love in the “old” lines. 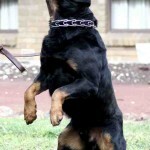 Bear has a very high willingness to work, crushing grip and a physicality of yesteryear. 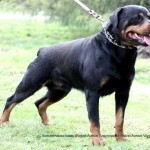 Bear has excellent substance, nice colour/markings, great bone strength, dark eyes, nice head type and excellent top and bottom lines. Bear is extremely short in the back and extremely powerful in the rear. 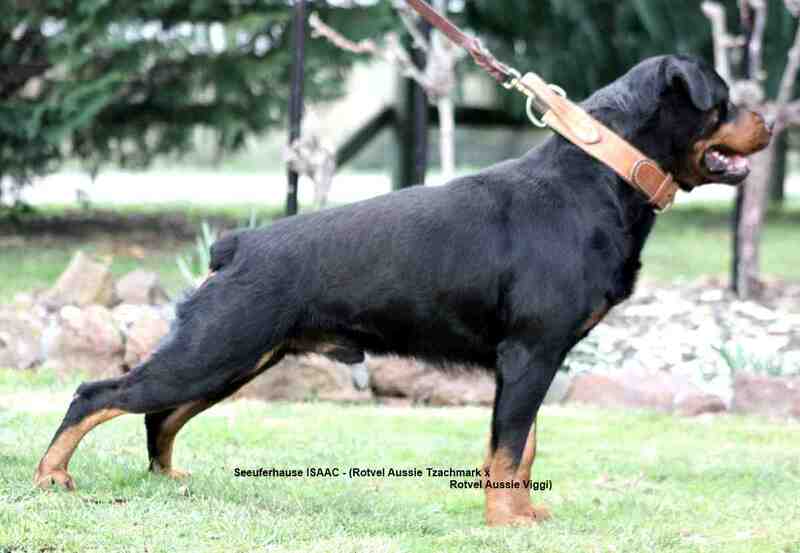 His angulations are correct and his movement is excellent. 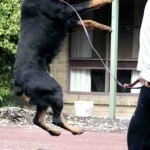 He is physically robust and very athletic for a dog his size. Bear was recently viewed by our good friend and supporter Mr. John Embling. 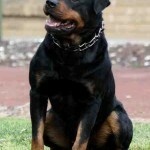 John has been around the rottweiler world and working dogs in general for many, many years and has had the good fortune of seeing all of the “old” dogs, and knows them well. 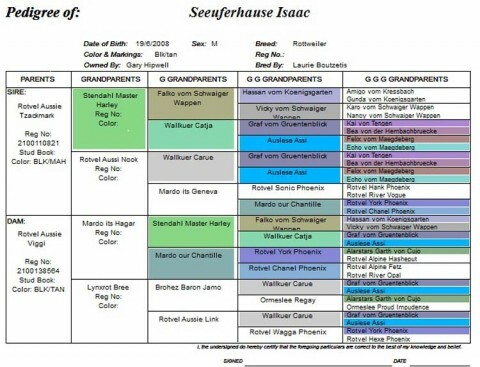 When viewing bear he commented that he felt Bear was one of the more accurate “representatives” of Felix Vom Magdeberg” that he has ever seen. 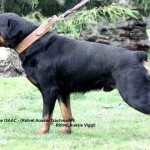 In the few breedings that Bear has had he has consistently produced well proportioned, substantial dogs with excellent bone strength, dark eyes, high drive temperament and strong nerves.